Few things strike fear into my heart like uploading images to a stock website and realizing I didn’t get a model release. What is an editorial stock image? I studied the process by using the editorial stock guidelines that most agencies publish on their websites—but my real education came from my rejection pile! What I learned is that editorial images should tell a story about current events, human interest, or other noteworthy occurrences. These images can’t be used in any commercial form to advertise a product or service—and they aren’t model or property released. However, not every photo can be used as editorial simply because you don’t have a model release. Your images should be newsworthy, and the captions matter. When I’m traveling, much of my photography happens in public places like markets with throngs of people milling about. 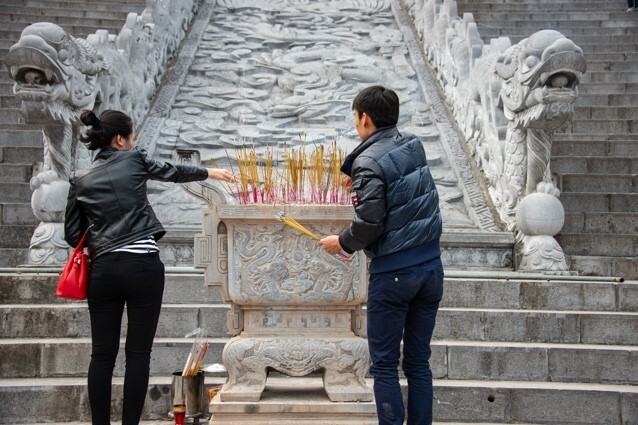 Since I’m there to “document” the culture, I look for ways to tell the story of a place or an event. 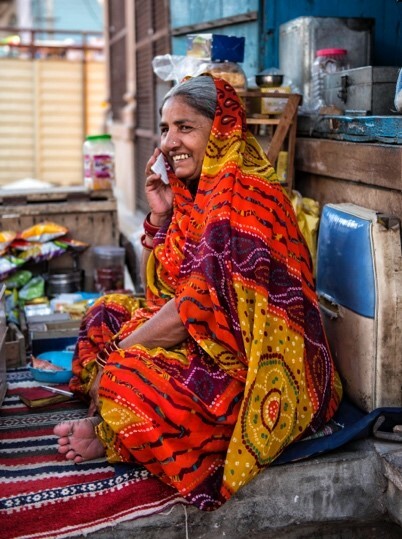 For example, this image of a woman in an Indian market documents the convergence of two cultures: the traditional and the world of modern technology. Descriptive titles for editorial images are similar to news headlines. 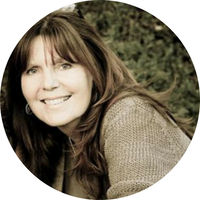 Your caption tells potential buyers who or what your image is about and why it matters. It’s ok to make technical improvements to the quality of the photos but the images should tell the truth of the events without adding or removing any content. An image that doesn’t document an event but was staged to convey a concept or subject of interest can be used as Illustrative Editorial. When creating concept images for illustrative purposes, agencies want clean, uncluttered photos that convey a relevant message. Look for noteworthy trends to illustrate concepts. 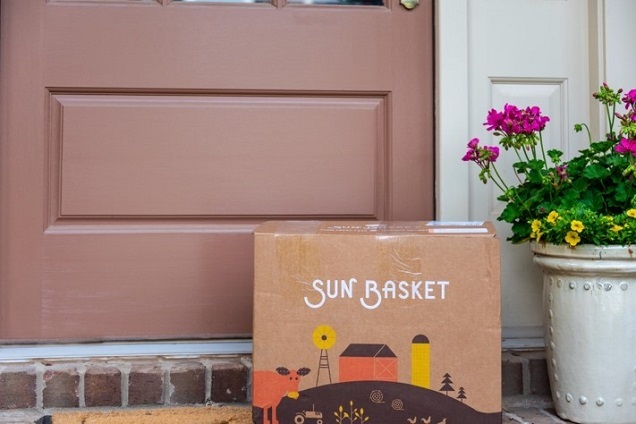 The image was staged but illustrates a hot, trending business/lifestyle concept of a boxed meal kit from the popular delivery service Sun Basket, sitting at someone’s front door. It doesn’t contain any distracting or confusing elements and is clearly about one thing. For editorial stock, captions, titles, and keywords are critically important components that create a bridge connecting buyers to your images. Once you understand a few of the rules, capturing and creating editorial stock images will become another great source of passive income in your growing stock portfolio.